To move around freely and roam wherever you desire to go. To enjoy all the beauty the universe has to offer you. To hear all the mighty tales and incredible stories that make up life. To inhale in all the rich aromas and fragrances floating in the air. 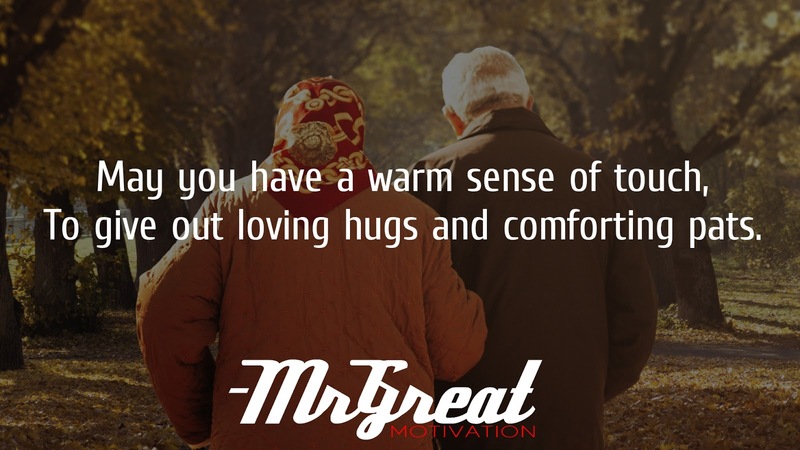 To give out loving hugs and comforting pats. To soothe someone's hurt and to uplift someone's mood. To brighten up someone's day and make a difference. To go after your dreams and turn them into reality. To spread around and leaving this world a better place. And to share your gift of blessings with others too.